The albums both come in a range of formats - see the details further down, with vinyl versions being available as well as CD. 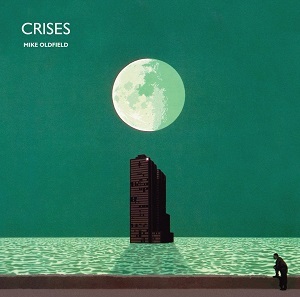 If you're a Mike Oldfield fan and don't have either of these albums then I'd certainly recommend them both - the only difficulty is deciding which version to get. Personally I'd go for the 2 CD versions of each unless you're a huge fan - the 2CD versions aren't much more expensive than the single disc versions and give a lot more for the money, while the box set of Crises might be a bit of overkill for the casual fan. Two great re-issues that are definitely recommended. The single CD version has a remastered version of the album along with some bonus material - B-sides, rarities, and two newly prepared acoustic reworkings by Oldfield of ‘Moonlight Shadow’ and ‘Shadow On The Wall'. The double CD contains the same on the first disc as the single CD version, and the second disc contains live material recorded at Wembley on the Crises tour. The box set includes two previously unreleased CDs of the entire Wembley concert, along with a DVD of the previously unreleased fifty-minute video film Crises at Wembley featuring full performances of ‘Crises’ and ‘Tubular Bells Part One’ and rare promotional videos. 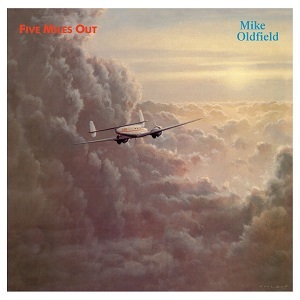 The set also includes a new 5.1 Surround mix of the album - mixed by Mike Oldfield himself. It comes packaged in an box with a 32-page hard-backed book, with sleevenotes containing an interview with Oldfield. The deluxe edition contains the same first disc as the single CD plus a second CD contaning live material from the Sporthalle, Cologne concert on the tour. There is also a DVD featuring a 5.1 Surround mix of the album, a promotional video for the title track and two rare performances on the BBC TV programme Six Fifty Five Special from 1982.